Switch lifes!!!!. i drew this today. 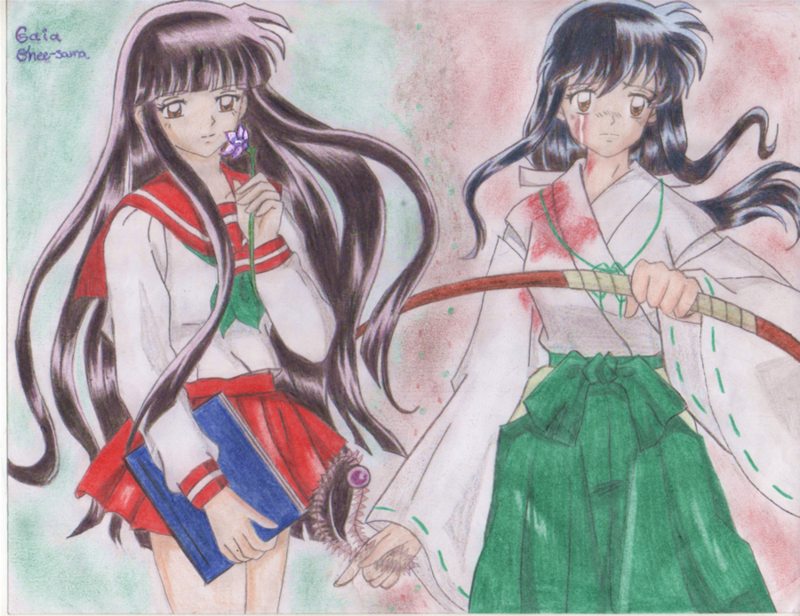 HD Wallpaper and background images in the inuyasha girls club tagged: kagome kikyo. 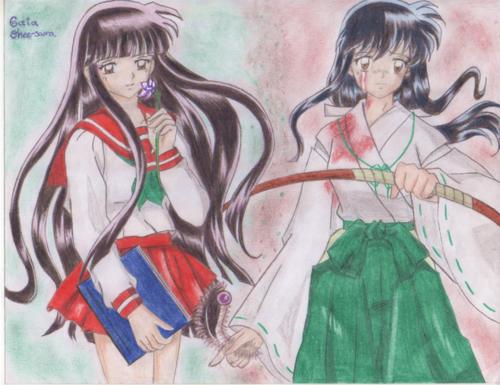 This inuyasha girls photo might contain anime, banda desenhada, manga, desenhos animados, mangá, and quadrinhos.